ATX tax software has been helping tax professionals in various domains. It remains among the favorite choices of accountants, CPA, and tax preparers for the number of features and forms that it offers. Its integration with law research systems, practice management software and various other accounting applications adds a bunch of simplicity to tax filing processes. However, there are still some limitations that cannot be overcome in the desktop version or the traditional software system. Collaborating with multiple users or accessing it remotely are some of these issues. What comes as a solution to these issues is cloud-hosted applications. 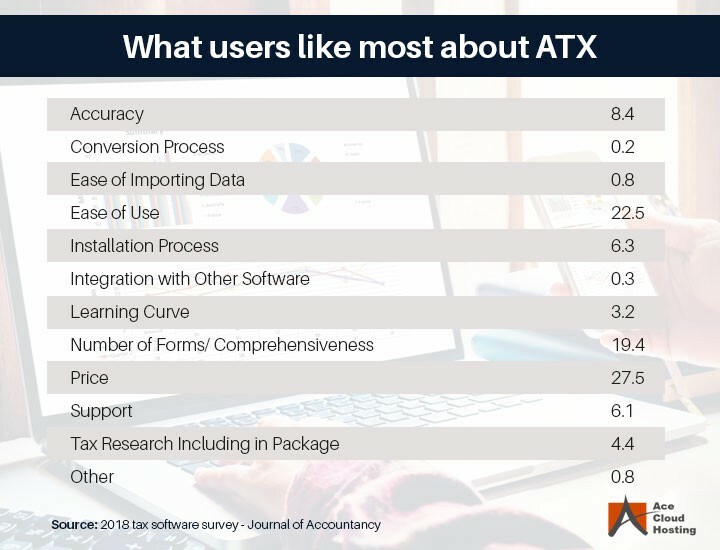 There are a number of such tax applications available in the market, but there still remains a challenge as they lack features of ATX tax software. 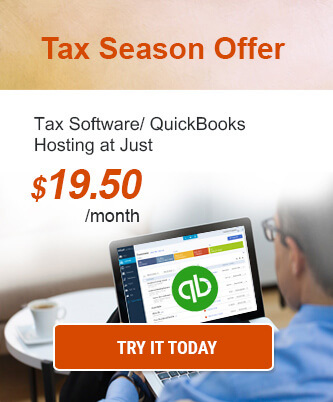 Hosting of ATX tax software on the cloud is a reliable solution to this challenge. It offers to the good of both worlds. You access all the features of ATX desktop-based software from any remote location. Let’s look further into it. As firms move their ATX tax software to the cloud, the question of security becomes paramount. After all, when data and files are not on site, concerns are bound to rise. However, if you consider the threats with local data storage posed by external and internal factors, the cloud will look way better option. In the increasing era of data breaches, leading cloud service providers offer solutions which have protocols in place to provide valuable information and transactions. Security methods, which include end-to-end encryption, user access management, Intrusion Detection System (IDS)/Intrusion Prevention System (IPS), automated backups and more, to safeguard the data. It is a full-time job for the cloud providers to monitor their security systems, which is significantly more efficient than the traditional in-house system. There are multiple levels of control for users to ensure protection and continuity when ATX tax software is hosted on the cloud. In a survey conducted by RapidScale, it was found that that 94% of businesses saw an improvement in security after moving to the cloud. There are some who advocate that switching to ATX cloud may be a little complicated for Accountants, CPAs, or tax preparers because of the change in platform. However, the functions and features available on the hosted version of ATX remain entirely similar to the desktop version, apart from the initial login access. In fact, hosted ATX doesn’t require the installation on the local device, which adds to the flexibility of access from any device, be it portable or stationary one. Along with that, most of the hosting providers offer 24×7 support availability. So, the moment you face any issue, your cloud provider is there to fix it. For small businesses, minor IT issues turn into larger ones and take a lot of time and money to fix. With the cloud, your tax filing operations are smoother and remain immune to such hassles. The cost of ATX tax software on the cloud is way more flexible than conventional systems. Businesses would only need to pay the rent for usage, and therefore the expenses of server and infrastructure are almost non-existent. You can pick the hosting resources as per your needs. During peak times, such as tax season, more capacity can easily be provisioned and later de-provisioned when not needed. The pay-as-you-go model is also applicable to data storage space, which means that you will get as much space as you need. Tax preparers often require multiple tax and accounting applications, depending on what their customers want. Moreover, it could even be temporary. Cloud ensures that your desktop applications will remain compatible on the same platform and you don’t have to worry about RAM, storage, etc., which is also an expense control. Moreover, with your ATX hosting, the services are free from IT workforce needs. You don’t have to pay enormous salaries for the IT staff as the responsibility of setup, maintenance, and upgrades with ATX on cloud remain with the hosting providers. ATX tax software hosting allows accounting firms or CPAs the ability to communicate and share files or tax data easily outside traditional methods. If your tax preparer is working on a file from a different location, they can use cloud hosting to provide business owners, accountants, employees or others access to the same file easily in real-time. The multi-user access functionality of the cloud allows you to invite various involved parties to work on the same platform for you. As the users work on the same copy of the file and changes are updated in the real-time, data management is simplified, and the efficiency of the workforce enhances. Improved collaboration with cloud technology can help firms reduce time to prepare and file the taxes. For the companies that are not centered on the accounting services, filing taxes comes as a diversion from their usual business tasks. Not only it consumes a lot of time, but also the lack of deep understanding of the subject may cause errors, which is among costly mistake to avoid with tax filing. In such a case, they need to hire a highly paid tax professional, and for SMBs it costs them dearly. One of the solutions is outsourcing with ATX tax software – but along with it comes concerns about data privacy. 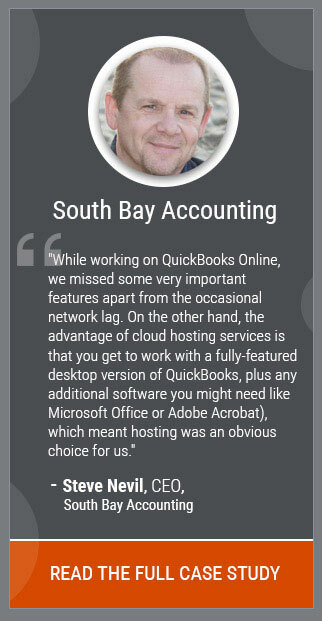 Hosted ATX tax software on the cloud solves that issue. As mentioned above, you can monitor the changes in real time. Along with that, you get to define the access permissions of the users, which enables an effective monitoring system for business owners to monitor all the activities on the software. For business owners or tax professionals who have been relying on ATX tax software since long and want to add modern features to it, hosting on the cloud is a top recommendation. Along with various cloud benefits, it maintains all the elements of your ATX desktop software. Availed with security, it gives your team a reliable platform to file faster.